COSMOS-2499 (2014-028E) was launched on May 23, 2014 and is now in a 1,510.6 km by 1,158.8 km 82.4 degree orbit. Dmitry Pashkov R4UAB has received signals from the satellite on approximately 435.465 MHz and 435.565 MHz (+/- Doppler). 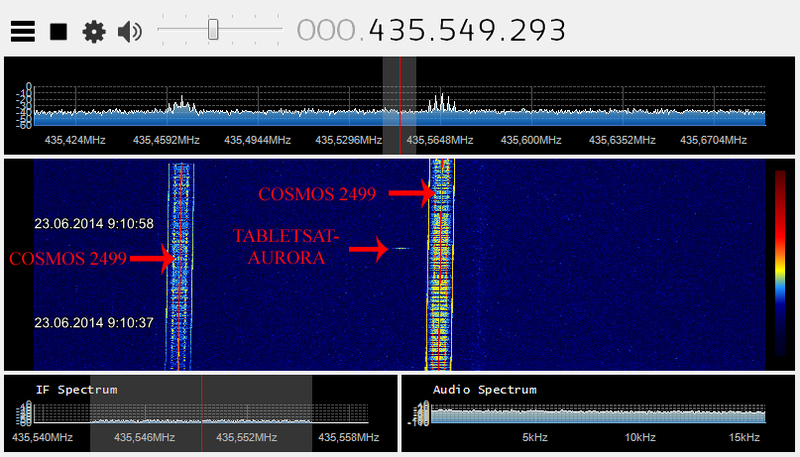 On November 30 the satellite started identifying itself in Morse code on 435.465 MHz as RS-47. There has been some mystery concerning the purpose of COSMOS-2499. In a post updated November 20, 2014 Anatoly Zak @RussianSpaceWeb wrote: Ground observations indicated that the mystery satellite had not exceeded 0.3 meters in size. 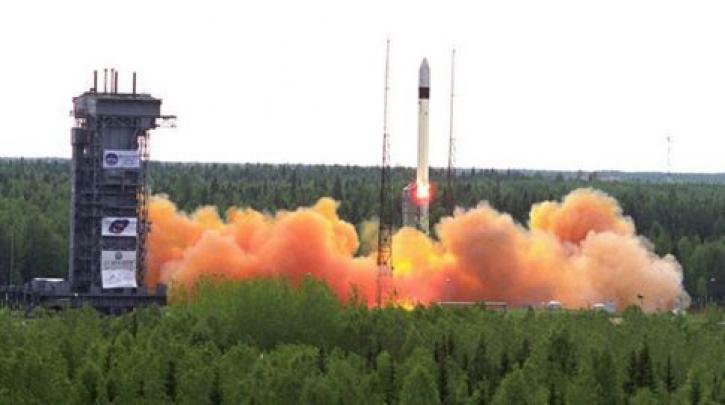 Previously, two Rockot launches with trios of Rodnik/Strela-3M launches also carried Yubileiny (a.k.a. MiR) experimental satellites with a reported mass from 48 to 100 kilograms. As with the previous launch, observers were at a complete loss about the possible purpose of the satellite.